Psychotherapy is an English word of greek origin, deriving from ancient Greek words psyche (meaning “breath; spirit; soul”) and therapia (“healing; medical treatment”). Psychotherapy is an interactive process between a person and a qualified mental health professional (psychiatrist, psychologist, clinical social worker, licensed counselor or other trained practitioner). Psychotherapy is a general term for a process of treating mental and emotional disorders by talking about your condition and related issues with a mental health provider. There are many specific types of psychotherapy, each with its own approach to improving your mental well-being. 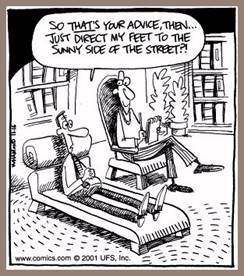 The type of psychotherapy depends on your individual situation. Psychotherapy is one of many effective ways to treat a wide range of mental illnesses and life stressors. Treatment of psychological, emotional, mental or behavioral disorders through interpersonal communications between the patient and a trained councilor or therapist is called psychotherapy. It works through the use of psychological techniques designed to encourage communication of conflict and insight into problems, with the goal being relief of symptoms, changes in behavior leading to improved social and vocational functioning and personality growth. Psychotherapy is an important topic within psychology. Many scientists, doctors and psychologists have a strong interest in psychotherapy. Psychotherapy remains a popular subject for students of clinical psychology. There are a lot of forms of psychotherapy is to consider the purpose of the process. Wolberg divided the major forms of psychotherapy into three categories: supportive, reeducative, reconstructive. The goal of supportive psychotherapy is to prevent the patient from getting worse. Although improvement in some areas of functioning is always desired, the major goal of intervention in this case is to prevent further deterioration. Supportive psychotherapy can be used with a range of problems. For example, this approach could be used with a person who has a faced a crisis or some form of stress. Suppose a woman has a just learned that her husband is terminally ill and he has fewer than six months to live a happy marriage. Psychotherapy could help her deal with her feeling related to her husband’s illness and her pending loss. Supportive psychotherapy may also be used following natural disasters. Much of the work of Red Cross disaster relief within the mental health arena is supportive in nature. Regardless of the specific details of any patient’s problems, the goal of supportive psychotherapy to strengthen the patients psychological defenses, to maintain control within his or her life situation to restore a sense of equilibrium if problems have occurred. Wolberg’s second form of psychotherapy is reeducative psychotherapy. In this case the emphasis is on basically observed behavior. Topics of interest in psychotherapy will be the overt sources of conflict or difficulty in the patient’s life as well as the patient’s method of handling these stressors. Although a patient’s history will be taken the emphasis will be on the present rather than on the past. Let’s look at an example of hour this might work. The patient is a 26 years old single male. A goal of this therapy is to increase his social life. After taking the patient’s history, the psychologist decides that this patient needs to learn better interpersonal skills. Through the use of role-playing and homework assignments, the patient gradually learns better communication skills and increases his self-confidence. He has understood the difference between those individuals with whom he may develop a social relationship and those who are not interested. Now he is comfortable, he has developed conversational and interpersonal skills his behavior is outside the therapy setting. The third form of psychotherapy is reconstructive psychotherapy. In this form of psychotherapy a major goal of the process is for the patient to develop insight into the in conscious conflict that are hypothesized as underlying the present feelings of distress. The focus in reconstructive therapy is not on the symptoms but rather on the underlying cause of those symptoms but rather on the underlying cause of those symptoms. Psychological testing should be done to assist the psychologist in understanding hidden dynamics of the patient. Young patient had problems talking to girls. The psychologists did an extensive exploration of his early childhood. Through the process of psychotherapy the patient realized that he had always spent time with his brother who was two years younger than he was. His younger brother was a football star and was very popular in school. He was tall and strong and was often mistaken as the older of the two. Our patient’s activities were more intellectual in nature. He participated in the chess club and the math club, he had never had leadership positions. These factors had combined to lead our patient to feel inadequate. Reconstructive therapy helped him, he saw himself in a different way.